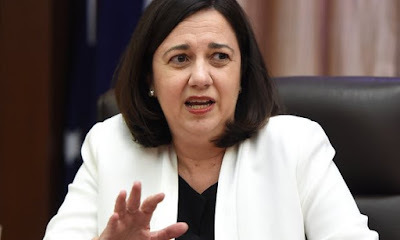 In a surprise move, Australian state Queensland’s Premier Annastacia Palaszczuk has declared that she is not going to provide concessional loan support to fund the infrastructure for the powerful Indian group Adani’s $16.5 billion Carmichael coalmine in the Galilee basin. Earlier reports said the state government had “agreed” to provide the loan. In a statement on Saturday, Premier Palaszczuk said that "consistent with our election commitments, cabinet has determined that any (Northern Australia Infrastructure Facility) loan needs to be between the federal government and Adani". “If the NAIF does provide funds for the 388 kilometre, $1 billion-plus rail link to support the proposed Carmichael mine, it will do so without the support of the state government. The NAIF's guidelines say loans should ‘align’ with a state's needs”, the report said. The Queensland premier was quoted as saying, "If Prime Minister Malcolm Turnbull wants to spend his money in this way, that's his decision." Top anti-mining group Environmental Justice Australia interpreted this as meaning that Queensland has blocked any NAIF loan to Adani under the current laws. "If Queensland is not a part of any agreement for NAIF funding, then, in our view, Adani's railway line cannot receive NAIF concessional loans under the current legal framework", it said. The NAIF abstention comes a day after the state government called a snap cabinet meeting to settle on the royalty plan to be offered to the Adani Group. “While touted as a $16.5 billion project – excluding the railway and port expansion – the mine is looking increasingly less ambitious, if it gets built at all. Rather than 60 million tonnes, annual output is likely to be much less than the ‘mega’ scale promoted, and a price tag is closer to $4 billion at least for the start”, the report said. The development has taken place even as mine opponents stepped up their campaign against the Adanis, saying, the project has the potential to open up a huge new coal province at a time when the world has to prepare for a net-zero carbon emissions future to curb climate change. They also point to the vulnerability of the Great Barrier Reef where about 50 per cent of its corals have died in the past two summers alone after unprecedented bleaching caused by heat stress. Another environmental group Get Up in a statement welcomed the development, saying, "Queensland Labor are holding firm to their promise at the last election not to throw taxpayer funds at Adani's coal rail line, by refusing to hand over money from Senator Canavan's slush fund," though adding, "The pressure is now on the federal government to put an end to special treatment for the megamine."